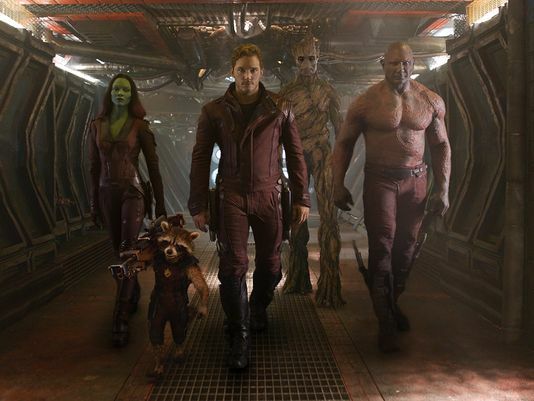 Marvel’s Guardians of the Galaxy, which first appeared in comic books in MARVEL SUPER-HEROES #18 (Jan. 1969), stars Chris Pratt, Zoe Saldana, Dave Bautista, featuring Vin Diesel as the voice of Groot, Bradley Cooper as the voice of Rocket, Lee Pace, Michael Rooker, Karen Gillan, Djimon Hounsou, with John C. Reilly, Glenn Close as Nova Prime Rael and Benicio del Toro as The Collector. This is one hell of a trailer. Enjoy. This entry was posted on Tuesday, February 18th, 2014 at 1:37 am	and is filed under Comics, Film, News. You can follow any responses to this entry through the RSS 2.0 feed. You can skip to the end and leave a response. Pinging is currently not allowed. « ‘The Walking Dead’ Season 4 Recap – Episode 10 ‘Inmates’! !